Want more gratitude and less entitlement in your family? This is the pack for you! November 2018 – I’ve released a redesigned, updated and improved Gratitude Pack. The new packet includes 4 more hands on activities, a deeper dive into everyday questions to encourage gratitude and clean, pretty design. Increase gratefulness, well-being and feelings of abundance by making gratitude a part of your family culture. 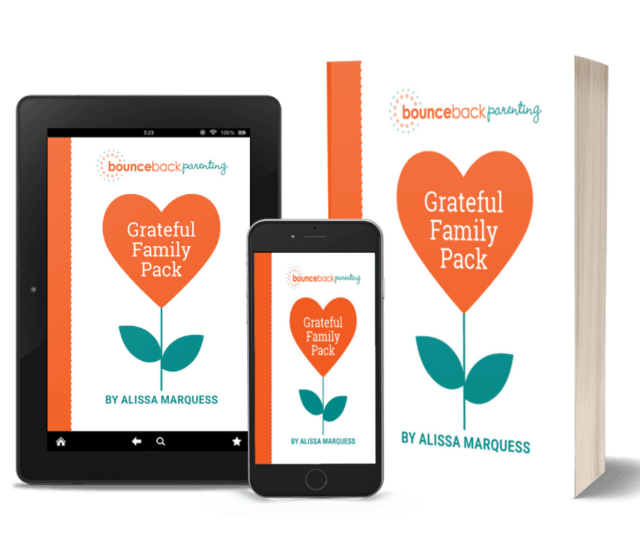 The Grateful Family Pack will show you how. Family practices that focus on gratitude create happiness, strengthen families in appreciation for others, for the past and present, and teach generosity and reverence. The Grateful Family Pack includes, prompts, project ideas and a variety of gratitude journals to encourage gratitude in your family. 3 styles of journal pages for creating gratitude journals with your kids. 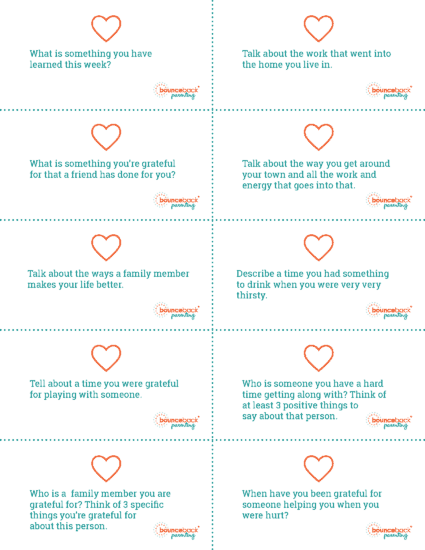 Use this digital download as a starting place for increasing the gratitude in your family. 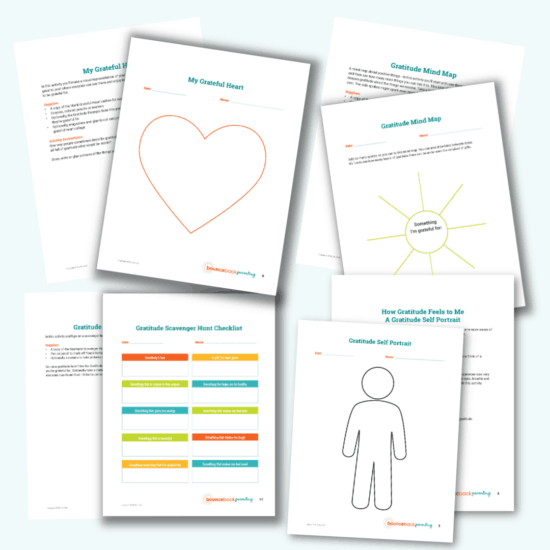 This pack includes hands on activities and fun gratitude journal/conversation prompts. Thanks so much! I'm using these in my grade 6 class starting this week :) I got each student a lovely journal and they've been busy designing the covers for them. I appreciate the prompts very much!! When you purchase you’ll receive immediate access to a downloadable PDF with all of the gratitude prompts as well as project ideas and printable gratitude journal pages.